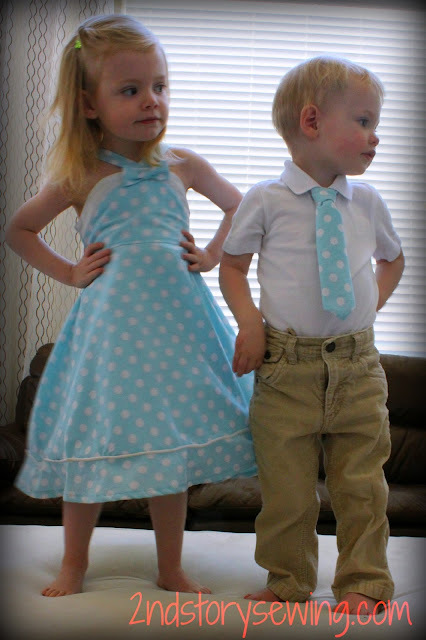 I finally finished the kids' Easter outfits. My daughter's dress, although I had made the same one several years ago for my niece, proved to be a challenge. I have never picked out so many seams in my life!! I had to take in a couple inches on each side...and in the end I just had to make it work the best that I could. She loves the net ruffle slip underneath and I think she looks adorable. And who can resist a little dude in a tie? But I have to say, I really didn't think this sheet would look as cute as it does sewn into clothes. I totally love it and it made for cheap outfits. I think the sheet was a couple bucks! 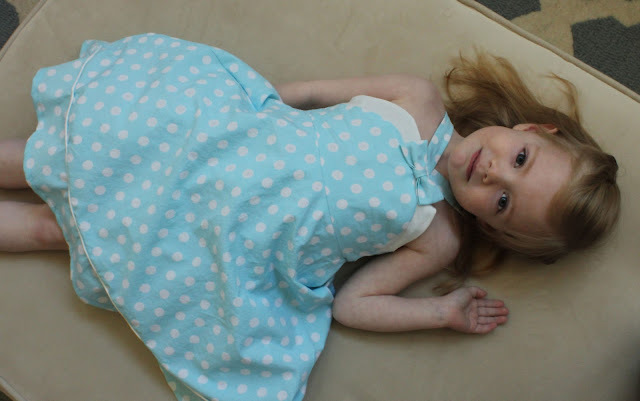 My daughter's dress is from the Simplicity Project Runway patterns: 2989. The dress isn't difficult but when I tried it on her early in the process I thought the fit was right, but once I inserted the lining and zipper it was WAY TOO BIG. How does that happen? So, out came the seam ripper...I also added piping at the skirt and band seamline. The picture below shows the net ruffle underneath which is so fun for spinning and twirling. I love the ruffle underskirt. 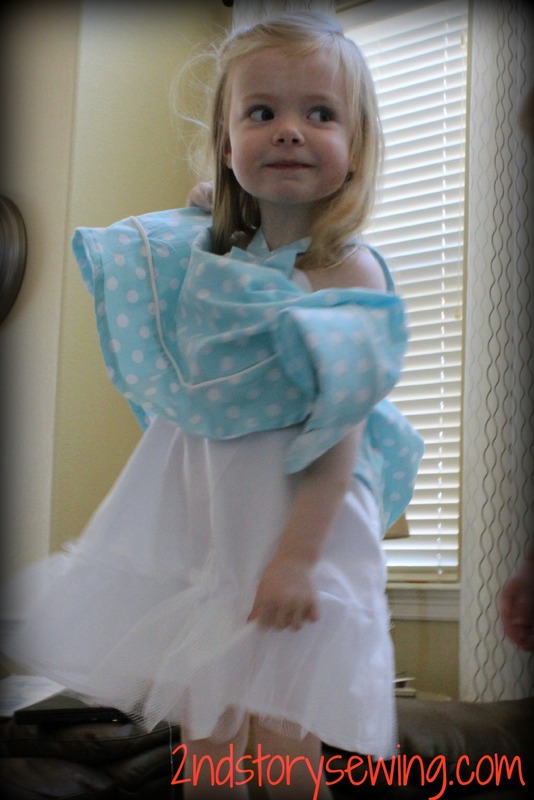 It is so much fun to be able to twirl! 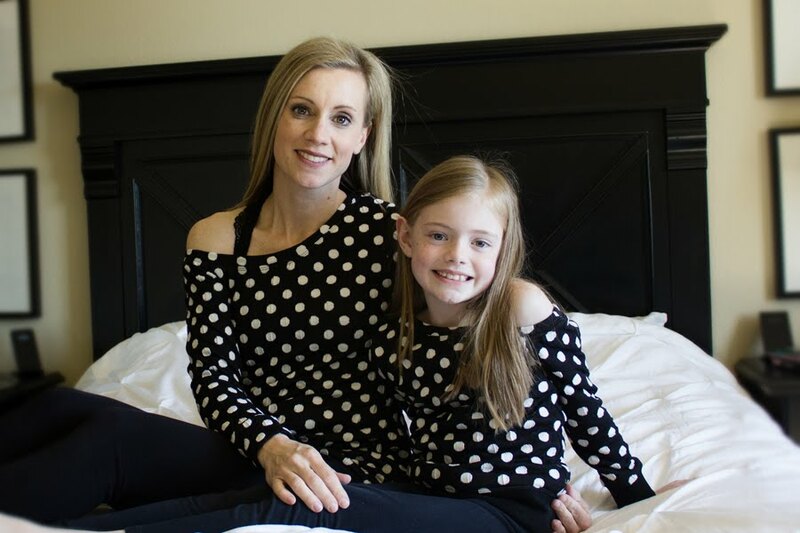 They are adorable, your kids and their coordinating outfits! I love matching my children for the holidays. OMG! I can't decide which are cutter, if the adorable kids or the amazing outfits. It's hard to choose!. 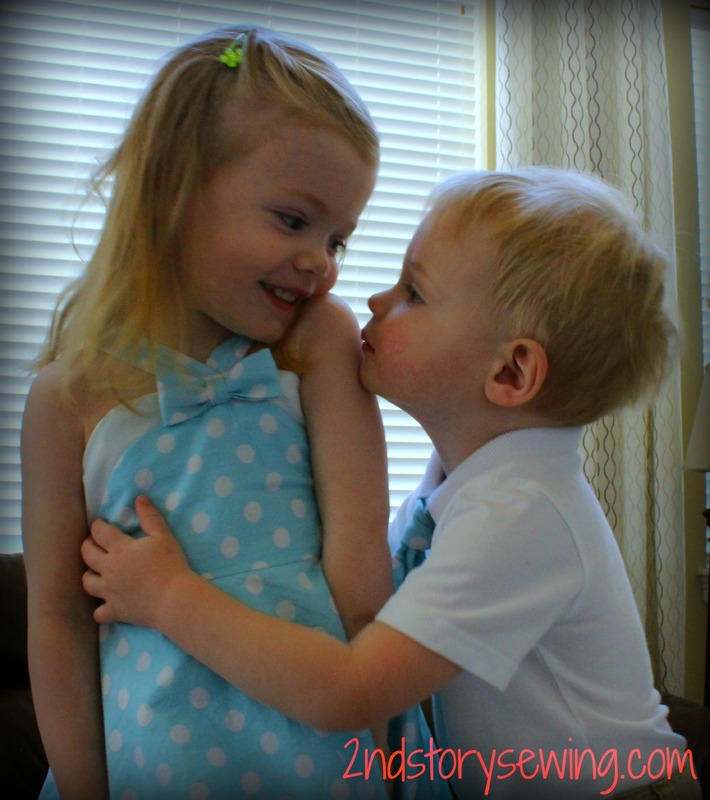 What an adorable little pair! It's been a while since I sewed anything for my kids...I should get on that... Thanks for the inspiration! 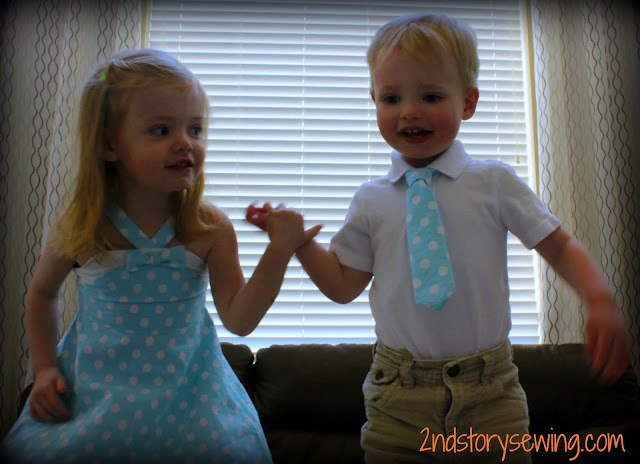 Oh my goodness how cute are these outfits!! Love the fabric, you sis a great job! Thanks so much for sharing with us at Weekend Wonders! Started following via gfc too.. Have a lovely day! I am about to start this dress for my daughter and I'm torn about the ruffle/slip. Was it very difficult to attach the ruffle? Do you think it was worth it in the long run? And did you just use muslin for the slip? You did such a great job!! Hi there- The ruffle and slip were actually quite quick and easy. I think it adds a little something to the dress and helps it keeps the shape but if I were to do it again I think I would make a slip that is separate from the dress that you could put on under any full skirt or dress and that way it is not limited to just one outfit. Hope that helps :) And I didn't use muslin, but that would totally work. I used a plain white cotton shirting fabric that I had in my stash.